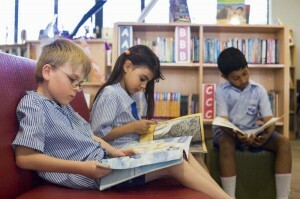 The school participates in the Scholastic Book Club Scheme. A book fair is held towards the end of the year, which gives parents an opportunity to purchase quality books for their children at discounted prices. Brochures outlining books and their appropriateness for the child’s reading level are sent home to enable appropriate choices to be made and order forms completed. Orders must be handed in to the school office in a clearly named envelope with the correct money or cheques made payable to ‘Scholastic Australia’, by the due date.